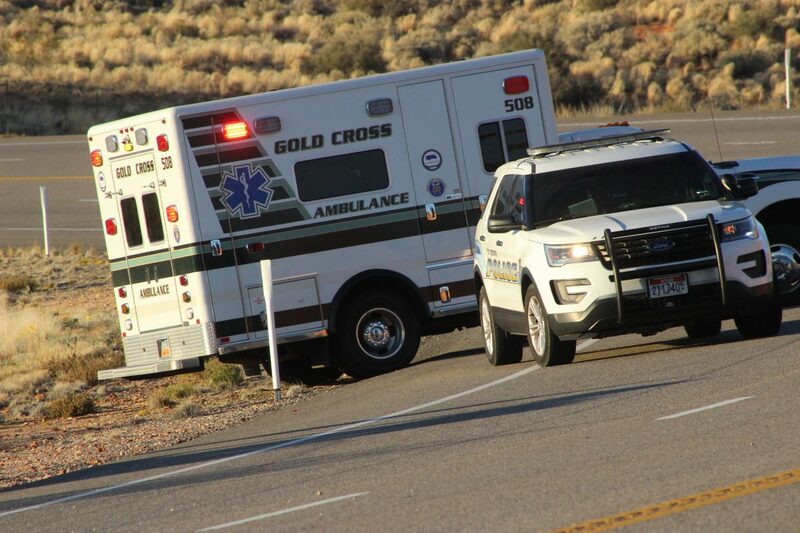 ST. GEORGE — A driver was transported to the hospital after her SUV rolled multiple times off state Route 18 just a few miles north of Bluff Street Saturday afternoon. 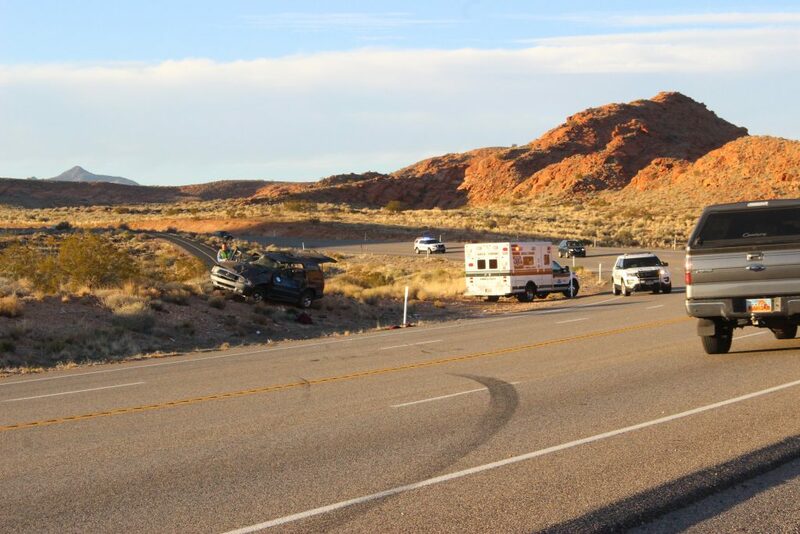 Shortly after 4 p.m. officers and emergency personnel were dispatched to the single-vehicle rollover on SR-18 near mile marker 6 involving a dark blue Mercury Mountaineer with a female driver possibly trapped inside the vehicle. Upon arrival, officers found the driver still inside the severely damaged SUV, and after wrenching the driver’s side door open, emergency medical personnel were able to remove the woman. 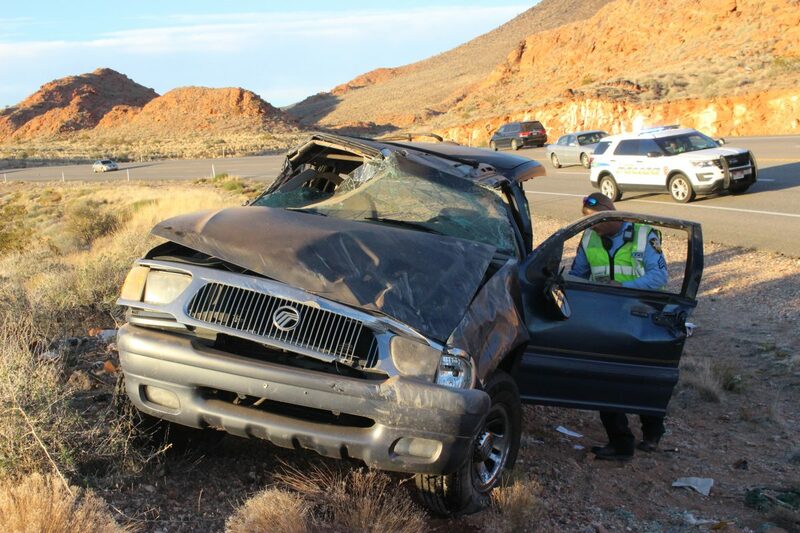 The driver was treated at the scene and then transported to Dixie Regional Medical Center for evaluation and treatment, St. George Police Sgt. Jeremy Needles said, adding that her injuries were not life-threatening. 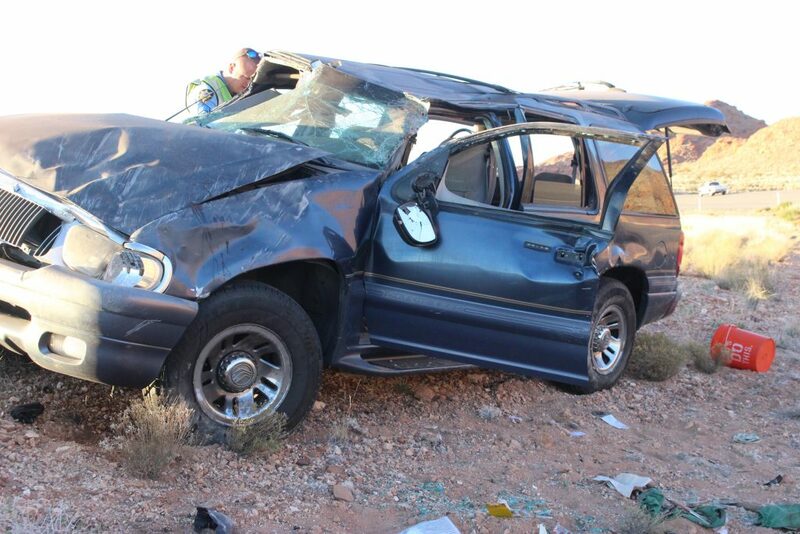 At the time of the crash, the Mercury was heading north on SR-18 and approaching mile marker 6 when it drifted off the outside shoulder of the road “for some unknown reason,” Needles said. The driver then overcorrected to the left, which sent the vehicle careening across all four lanes of the highway before rolling multiple times and coming to rest in an upright position up a small embankment several yards from the roadway. “We are investigating the driver for a possible DUI based on what we’ve found here at the scene,” Needles said, adding that officers were heading to the hospital to speak to the driver and continue the investigation once the vehicle was towed from the highway. Police believe the driver was properly restrained at the time of the crash. “She was still in the vehicle when we got here, and had she not been wearing her seat belt, she likely would have been ejected,” Needles said. Needles said there were no witnesses to the actual crash, so the information gleaned at the scene was limited. There have been no citations issued at this point, as the incident is still under investigation. People speed on Rte 18. It’s curvy too.. some go downhill over 60-70 mph.. s5 George has s many accidents everyday..
St George has daily traffic accidents just like any other city …just curious have you been out of St George lately ?